It’s no secret that the launch of a new iPhone is a major consumer event. Throngs of people will be lining up outside of Apple Stores across the country before long, all trying to get their hands on the new Apple iPhone 6S and iPhone 6S Plus models. But the Apple Store is hardly the only place to get your hands on a new phone – the major carriers are all offering iPhone promotions of their own, hoping to draw iPhone-hungry customers through their doors as well. During the iPhone 6S launch event, Apple announced that it has a new option available for those looking to lease their next smartphone. You can now pay Apple $32.45 per month for an iPhone 6S, which includes AppleCare+ and the option to trade up to a new phone next year. There’s no discount here over buying each separately, but you can at least avoid having to pay interest charges on the purchase while you’re paying it off. The absolute best deal for those looking to own an iPhone 6S outright can be had at T-Mobile. You’ll want to skip buying the iPhone 6S outright ($649) and instead opt for the carrier’s JUMP! lease plan with yearly upgrade option. T-Mobile will charge you $20 per month for 18 months for a base model iPhone 6S. At the end of 18 months, you can then pay a $164 charge to own your phone for a total cost of $524. If you’re instead looking to lease (and perhaps get a new iPhone 7 next year), we recommend you visit your local Sprint store. There, you can get an iPhone 6S for just $15 per month – the lowest price of any national U.S. carrier. The larger iPhone 6S Plus, meanwhile, will run you $19 per month. To get these prices, however, note that you’ll need to trade in a working smartphone. And you’ll need to be OK with using the Sprint network. Whenever you switch carriers, we advise checking out the coverage and data speed in your area. Option to pay for 20 months to own. $199.99 up front for iPhone 6S or $299.99 for iPhone 6S Plus. 15/mo. for iPhone 6S or $19/mo. for iPhone 6S Plus. 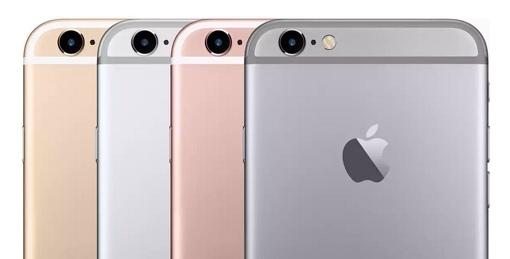 ✔ Best Deal to lease $199.99 up front for iPhone 6S or $299.99 for iPhone 6 Plus. Pay additional $15 per month for service. Sprint will pay “whatever it costs” for you to switch via an American Express Reward Card after online registration and phone turn in. Plus Sprint will cut your Verizon or AT&T bill in half. Lease for $1/mo. for iPhone 6S or $5/mo. for iPhone 6S Plus with trade-in of iPhone 6. $749.99 for iPhone 6S Plus $27.08/mo. for iPhone 6S or $31.24/mo. For iPhone 6S Plus for 24 months N/A N/A for new customers New customers get $400 for switching -- New smartphone device payment activation & port-in req'd. $400 = up to $300 trade-in VZW gift card + $100 bill credit (applied in 2-3 billing cycles). $749.99 for iPhone 6S Plus $27.08/mo. for iPhone 6S or $31.25/mo. for iPhone 6S Plus for 24 months $20/mo for iPhone 6S, iPhone 6s Plus is $24/mo. At the end of 18-month lease deal, you can pay $164 to own the iPhone 6S for a total cost of $524. ✔ Best Deal to own N/A New customers get up to $650 to pay off your old phone and pay your carrier’s termination fees. Lease for $5/mo. for iPhone 6S or $9/mo. for iPhone 6S Plus with trade-in of iPhone 6. Don’t forget that Sprint’s IPhone Forever plan guarantees the user the ability to upgrade to the newest IPhone whenever Apple launches a new model! I have a problem having a phone that isn’t unlocked. Too bad that Apple isn’t allowing unlocked. I just got my daughter unlocked 6 plus.